BAC member Allyson Criner Brown (At Large - Orange) will be on "The Daily Drum" with Harold Fisher tonight (WHUR 96.3 FM). She will be with several members of Black Women Bike DC talking about biking in the District and Courtland Milloy's article. 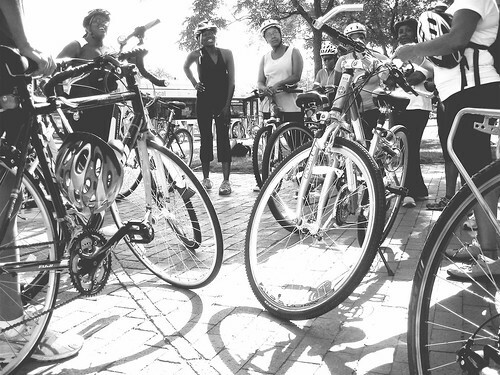 While she will be speaking on behalf of Black Women Bike DC, this is an opportunity to hear what this group thinks about bicycling. The show starts at 7:00pm on WHUR and will run on air until 7:30pm. The full show goes until 8:00pm. The show also airs on the Sirius XM channel 141 and on the web. Also, the show will accept calls for this topic.